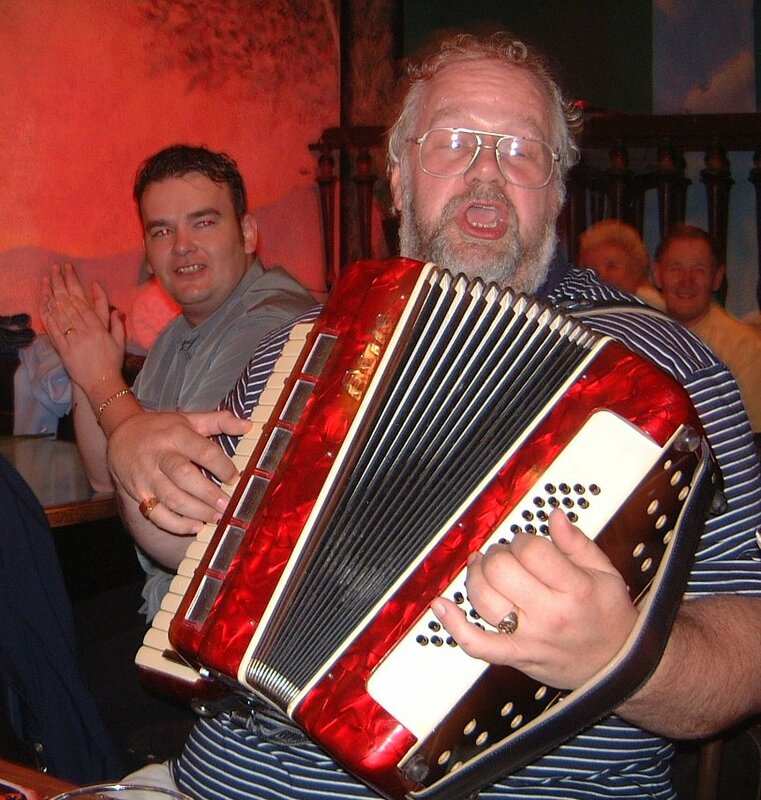 Trevor is one of the most respected and admired personalities in musical circles in Derry. This choir was very fortunate to acquire his services in May 2000 especially so while he was and, of course, still is choirmaster in two local Presbyterian churches. He is possessed of a rare and wonderful musical talent which enables him to express himself equally well on a large church pipe organ, a concert piano, an electronic keyboard or a piano accordion. His experience is vast and varied. He is the most sought after musical director in major theatrical productions in and around the city and frequently in no less a place than The Millennium Forum. For many years he has played for the dancers in Feis Doire Cholmcille and other festivals in the North West, a role he shares with George Kilkie, one of our founder members. The photo of Trevor on the left was taken in “Quigley’s Point” in Paris, a bar owned by Jack Quigley, another Derry man, on the occasion of our trip to that city in 2003. He made the night memorable for us and a few delighted Parisians too. Over the past eight years Trevor has managed to bring this little choir to a level it never before achieved and he continues to challenge us to improve even more.